More and more people have less time to visit stores and prefer to buy and sell online. 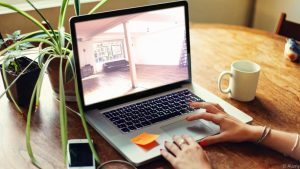 Here are some tips that will make buying and selling furniture online a whole lot easier. Shop locally – If you shop locally, the chances are you will save a lot on shipping and receive your furniture a whole lot faster. If you are close enough, you could even consider picking up the item yourself. Measure – Measure your space to ensure a piece of furniture will fit your space. Look at your doorways as well to make sure that you can fit your furniture in your home or building. Patience – If you are looking for items online, start off by listing what you want and then checking multiple furniture sites for a couple of weeks to find an exact match. Sell at informed prices – Pricing your piece on what you spent will not sell your furniture. Look at similar items online and how they are priced new, then adjust your price accordingly. Make it easy to find – Provide the buyer with information such as style numbers, store or brand to help your buyer find similar items online. Therefore, if your furniture is priced right, you are sure to receive many queries and offers. List qualities buyers can’t see – If there are tears or broken parts list them out clearly for the buyer to see online, this way buyer’s will not be surprised when they receive the item.